Welcome to DAY EIGHT of the Handmade Marathon. Meet Dana Garczewski of The Patterned Peacock. 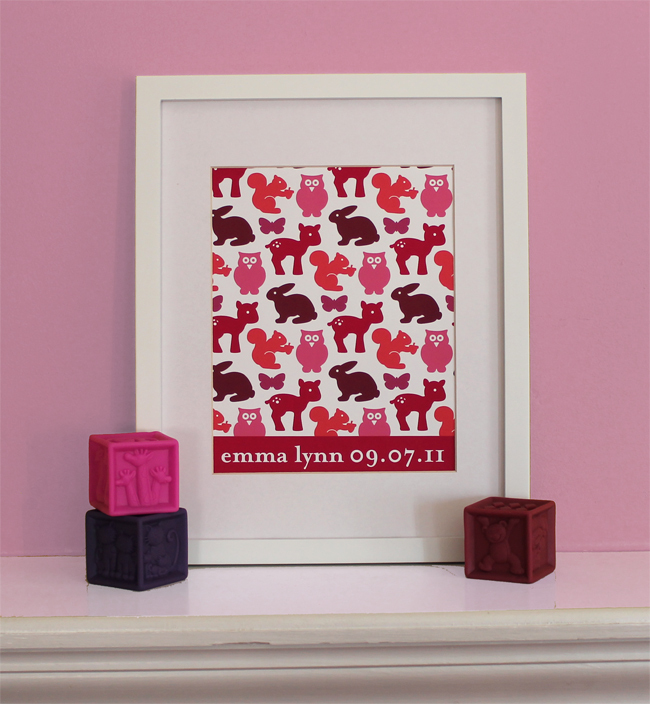 Her shop features gorgeous prints and ribbon letters and I particularly love the print featured below and the child-friendly designs, perfect for making a child's room extra-special. I believe we are all curators in one way or another. We go through life collecting experiences, memories, interests, obsessions, milestones, stories, and favorites. My work celebrates the things we love whether it’s a place, an object, a word, or even a color. 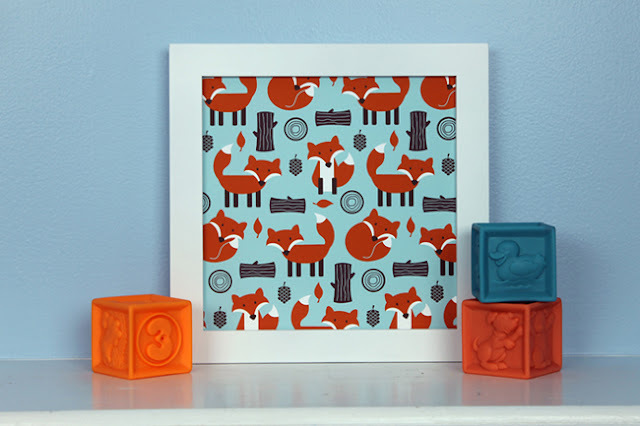 I am inspired by the world of surface pattern design (particularly Scandinavian design) and I often incorporate repeating patterns into my work. I also love to play with color and choosing the palette is my favorite part of creating each piece. Each piece features my original artwork and is made by me in my studio located just outside Boston, MA. 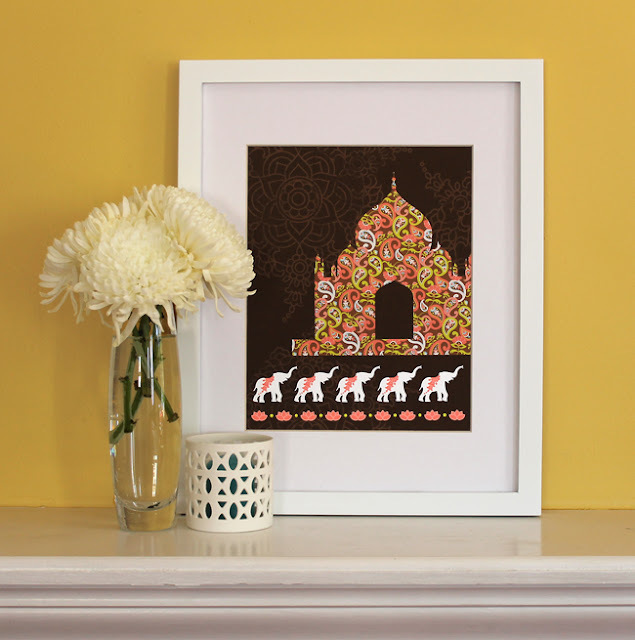 My prints are produced on archival cotton canvas and I offer them both framed and unframed. In addition, there is the option to personalize a print by adding up to 20 characters to the bottom of the piece. 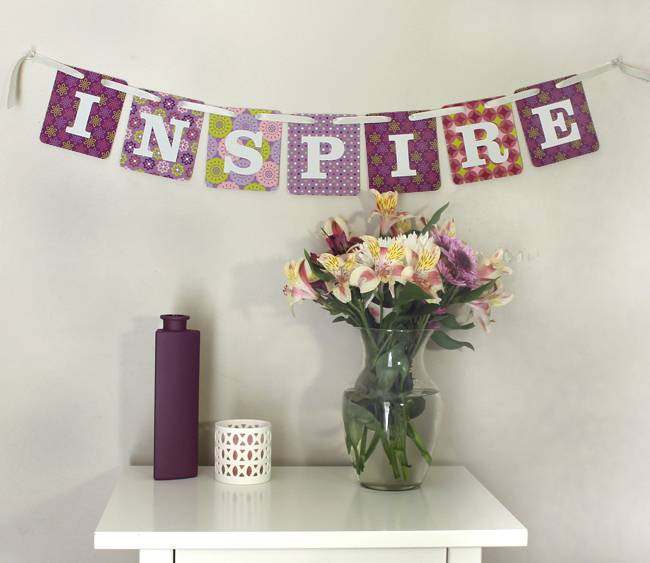 Build a Banner letters are sold individually to allow people the option of spelling out any word or message they want. Each letter is printed on a sturdy 140lb textured natural white stock and comes with white satin ribbon to make a banner. These are great, love the fox one! :) Beautiful feature!! So beautiful work, love the print fabric design.